Discussion in 'Newspaper Articles' started by HeathenClerk, Oct 24, 2018. Just wanted to give a shout out that the new SoJourn from summer is a fantastic, and oversized, special on the Revolutionary War that anyone interested in should pick up. Also: I got mine at Second Time Books of Rancocas Woods in Mount Laurel, and I just wanted to drop a note that this shop, which I've had the pleasure of enjoying several years now, is so perfect as to seem mythical. Specializing in Fantasy, Science Fiction and History. Check em out! Boyd and Spung-Man like this. 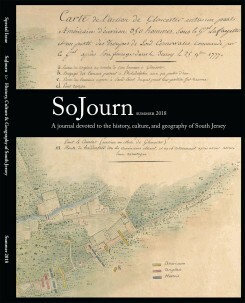 We are pleased to announce the availability of the summer 2018 issue of SoJourn, Stockton's twice-yearly journal devoted to the history, culture & geography of South Jersey.